There are a few different ways to get at the shell. The Azure Cloud Shell can be launched by selecting the icon on the toolbar in the Azure portal. While this method works, it’s a probably best for just running a few commands as it takes up a bit of screen real estate within the Azure Portal browser window. The second method is one I recommend if you plan to do longer tasks such as writing and debugging scripts, troubleshooting, etc. 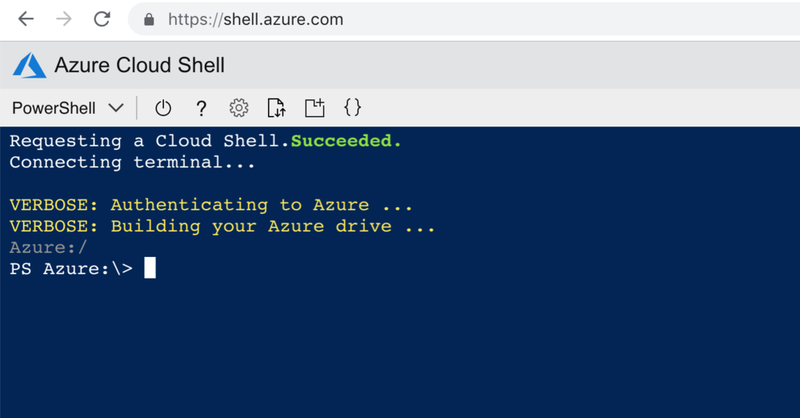 The second method is to launch the cloud shell from the link https://shell.azure.com/ . I recommend running this either in a separate tab, or in an independent window altogether based on your work style.